We are commissioned by NHS Primary Care Trusts to provide urgent care services to 800,000 patients in Brent, Hammersmith & Fulham, Kensington & Chelsea and Westminster. Operating on a not-for-profit basis we provide a range of medical services for GPs when their surgeries are closed and urgent care services from a variety of locations including the new centres for health in Hammersmith and Charing Cross Hospitals. LCW serves the communities for which it is commissioned to deliver out of hospital primary care healthcare services. The key objective for the healthcare services that LCW delivers is to avoid hospital admission for the members of the communities it serves with the consequent benefit being realised by the NHS and the public at large through reduced pressure on A&E Hospital Departments and the bed and other resources of Hospital Trusts. It seeks to achieve this objective through enhanced and the user friendly accessibility to its services for the members of the communities it serves. It seeks to facilitate the achievement of this objective through its telephony triage of over 500K telephone calls per annum that it receives via the NHS 111 help line and also by the ten Primary Care Centres and Urgent Care Centres that it operates across the London boroughs of North, Central and West London. In addition, LCW undertakes Home Visits from 7pm through the night until 8am seven days a week. The NHS 111 call triage service handles 16M calls per annum and is viewed as the technology platform from which digital serves are being developed. LCW is at the forefront of this innovation being commissioned by NHS England to partner with Babylon the GP Digital App provider. This initiative combined with artificial intelligence algorithms has the potential to increase substantially the available clinical capacity of the NHS at marginal cost with benefit to everyone through improved access to services. LCW was the first provider in England to be commissioned to deliver an integrated 111 and Out Of Hours service and in addition as an innovative service provider was commissioned to deliver a Pan – London advisory pharmacy service. Both services are patient focussed and are delivering significant healthcare benefits to our communities. Also as a leading provider of digital services, which are now gaining significant patient support and which are publically backed by the Secretary of State for Health, LCW is at the forefront of this digital revolution as the NHS seeks through the addition of more service delivery channels to meet the ever increasing demand for its services. The above initiatives are delivering better healthcare for the members of our communities and the wellbeing of their families. LCW is entrusted to deliver development programmes (so called “Pilot” projects), which are aimed at enhancing aspects of the core service. For example, the Pharmacy Advisory service is aimed at providing patients with advice on the medication that they are taking for existing conditions and on which they have issues. By using this service, which is becoming increasingly popular, patients get access at any time of the night and at weekends to expert advice which does not take capacity away from the scarce GP resources. LCW demonstrated its social values and commitment to its local communities in its response to the Grenfell Tower fire. LCW played a key role in supporting the relief effort during the incident and its aftermath. Our Doctors (who on many sessions worked for no income) and operations teams provided fantastic support and showed great dedication and thoughtfulness in delivering their services. All the support teams from community health and mental health services worked very effectively together with LCW’s staff and all those involved were a credit to themselves and their organisations. LCW received much recognition for its responsiveness and for its work to support the local residents who were greatly affected by the trauma of the Grenfell Tower fire and all its consequences. LCW’s contracts with the NHS include performance metrics which are designed to deliver patient benefits in relation to clinical quality and other key metrics including response times. If not achieved over time financial sanction will be applied against LCW. LCW attends monthly contract meetings to assess performance and patient outcomes. Patient representatives attend these meeting and provide constructive challenge to Commissioners and service providers alike. LCW always seeks to learn from the perspective of the patient representatives at these meeting and is prepared to implement their recommendations where this has Commissioner’s support. LCW delivers out of hours healthcare primary care services to a population of circa 3.5M located in the London boroughs situated across the areas of Central, West and North London. LCW handles over 500K telephone calls via the 111 NHS helpline, which is seen as a major diagnostic platform from which patients are directed to the most appropriate clinical consultation for them with the minimum of delay and fewest handovers of the call. The response can be as urgent as a blue light ambulance to a Doctor’s home visit or even self-care. LCW collaborates with GP Federations across the geographical areas served utilising the additional capacity they have at their GP Hubs to see patients. This extension of capacity can often result in the patient being seen at a more convenient location and at a time more convenient for them. LCW has been closely involved with Commissioners in designing and delivering these new care pathways and which involve different technologies and which have also enabled direct booking capabilities to these Hubs to be available to LCW. Although survival rates in England when serious conditions are diagnosed compare very favourably with other developed countries the later diagnosis of serious illnesses has been identified as the key weakness in the patient’s journey. LCW through its involvement in integrated primary care healthcare services is at the forefront of developing improved access and early clinical intervention to improve early diagnosis to the benefit of the patient. The services provided by LCW can and do save lives (see website) by virtue of the dedication and professionalism of its workforce through their personal interventions as we collaborate with key acute hospital providers by adding our expertise in handling clinical triage services to their expert hospital services. Many of the Doctors who were deployed to the Grenfell tragedy did not charge for their time and support staff worked long hours well beyond their contracted hours especially in the first month of deployment a demonstration of the culture and social values of the Society. 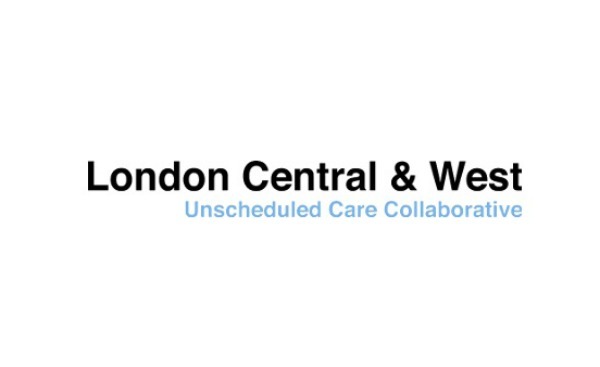 LCW has been awarded the contract to provide primary care services to 151 Care Homes located across North West London. This service was initially intended to be delivered by a Foundation Trust based in South Yorkshire with whom LCW had been asked to work with by the eight CCGs located in North West London. LCW’s initial role was principally to provide the local intelligence necessary to deliver the service successfully. However, at the last moment the Foundation Trust walked away from the contract and the CCGs asked LCW to step in and deliver the contract. LCW is working closely West London Mental Health Trust and St Joseph’s Hospice to deliver the service with LCW being the Lead provider. The initial key objective for the service is stopping the Care Homes calling 999 for an ambulance when it is deemed to be clinically safe. The service, which is being funded by Social Finance has the potential to be rolled out across the country with significant benefits being realised by Hospital Trusts by reducing pressure on their bed capacity and with improved patient outcomes by keeping them in their own familiar surroundings. Multi point video technology is being utilised to access a specialist clinician 24/7 by providing a single point of access to LCW’s clinical hub. This use of technology based around telemedicine models of care enables the service to be delivered at scale and cost effectively. LCW reported trading income in 2007 of 4.3M and for 2017 reported trading income of 22.5M, an increase in Income of 18.2M in the ten year period, which reflects well on how Commissioners view the social values and transparency with which LCW operates. LCW is always prepared to go the extra mile for the patient through our responsiveness to their needs and designing services that are delivered with their needs at the forefront of our thinking. Our social values demand that we do not deliver services for the convenience of LCW or to generate additional profits as would likely be the case for a commercial for profit organisation. LCW has been at the forefront of developing triage services that meet the needs of hard to reach and challenging patients helping them to experience better healthcare. LCW invests in external inspections not just CQC audits to raise the quality of the clinical services delivered and to support our workforce through training, gaining for them the recognition by other stakeholders of the value of their commitment. LCW’s activities are highly regulated and its facilities are subject to inspection and authorisation for their use in delivering clinical services. In such circumstances LCW is not permitted to make available its facilities for a local purpose. However LCW in making judgements around service delivery will consult with local Charities for example when considering service delivery for people with learning disabilities in Ealing LCW consulted at length with Mencap Ealing to gain an understanding of how our services to those with a learning disability should be designed and what the safeguarding issues and concerns would be. LCW’s fleet of cars used for Doctor home visits at all times of the night are all environment friendly which represents an investment of 250K. LCW’s staff regularly holds events to raise funds for local charities including those dedicated to the treatment of cancer patients including their palliative care. LCW is actively developing a local neuro response service in primary care settings which has started as a pilot.